Kane, calmly deliberating a local interpretation of the Takings clause vis-a-vis eminent domain debates. 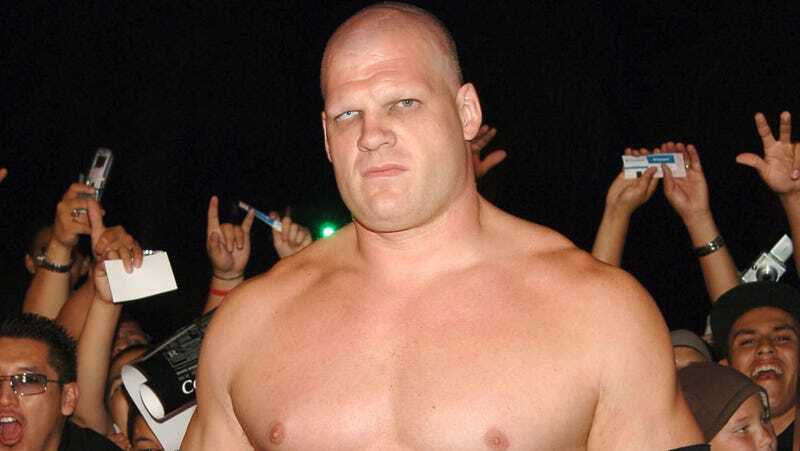 It was over a year ago that we first noticed Glenn Jacobs, the WWE star known as Kane (who made his TV debut for the wrestling league as an evil dentist named Isaac Yankem), was running for mayor of Knox County, Tennessee. Well, apparently residents of that county are big fans of mentally disturbed pyromaniacs—or at least a guy who plays one for the camera. Jacobs is officially making a career change. NBC News reports the wrestler turned candidate for elected office has been elected mayor of the third-largest county in Tennessee as of Thursday night. A longtime libertarian who ran as a Republican, the 50-year-old Jacobs crushed his Democratic opponent Linda Haney like she was [insert wrestling analogy of your choice here—The Undertaker on the receiving end of a piledriver, maybe? ], and will be sworn in on September 1. As someone who was a resident of Minnesota during Jesse “The Body” Ventura’s tenure as governor, I can attest to there being worse things than having a former wrestling star in office. Of course, Jacobs also appears to be a very genial guy who nonetheless supports Donald Trump while simultaneously condemning politicians who “use their positions to benefit themselves instead of serving the people,” so maybe he’s not the most astute of elected officials. Ergo, he’ll fit right in.